We all have indispensible tools we use in science. A sturdy bucket for sampling intertidal critters and seaweeds. Our trusty calipers for measuring morphometrics. Our favorite R-package for numerical ecology. All these are important for doing science. My favorite tool for scientific communication and outreach are pretty photos! A good photo can captivate and create interest in your work and, more importantly, let you communicate science to a much greater audience. Three classes of sponges. Left: a calcareous sponge (Sycon sp.). Middle: a carnivorous demosponge (Asbestopluma occidentalis). Right: a juvenile hexactinellid (glass) sponge (Aphrocallistes vastus). All scale bars = 1 cm. © Jackson Chu. All rights reserved. How did I take those photos? As a graduate student living on mac and cheese, I cobbled together my used camera equipment from various online sources (e.g. eBay). The camera brand really makes no difference. I would estimate I spent ~$300 for everything: $200 for the camera, $50 for the lens, $2 for the reversing ring, and $50 for the flash. Because I am always working with small (but not microscopic) invertebrates, one trick to close-up (macro) photography is to mount the lens backwards onto the camera using the reversing ring. A 50mm lens mounted backwards onto a camera will give you a 1:1 magnification ratio (1 cm object will be 1 cm on the camera sensor). A backwards mounted 28 mm lens will give you a higher magnification ratio of 3:1. There are also other alternatives that yield similar results: macro-focusing teleconverters, extension tubes, or dedicated macro lenses. In order to get proper lighting, a flash will have to be oriented close to the object. You can do this in one of two ways. 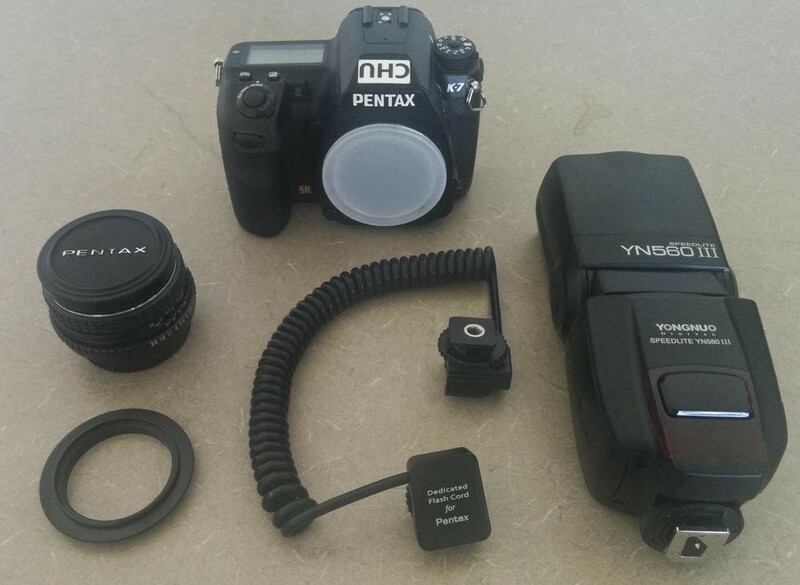 Modern day flashes can be wirelessly triggered from the camera. Otherwise, an off-camera flash cord can be used. Most of the time I’m trying to take photos of my live study organisms. What’s worked for me is to use a shallow, flat-bottomed glass tray filled with filtered seawater. Petri dishes work great for tiny 1-cm critters like carnivorous sponges. Glass baking dishes are great for >5 cm sized critters like nudibranchs and seapigs. I usually slip my neoprene laptop sleeve underneath the tray of seawater to create a black background in my photos. Some nudibranchs from Scott’s Bay, Bamfield. Left to right: orange peel nudibranch (Tochuina tetraquetra), white lined dirona (Dirona albolineata), opalescent nudibranch (Hermissenda crassicornis), and clown nudibranch (Triopha catalinae). © Jackson Chu. All rights reserved. Sea piglets. 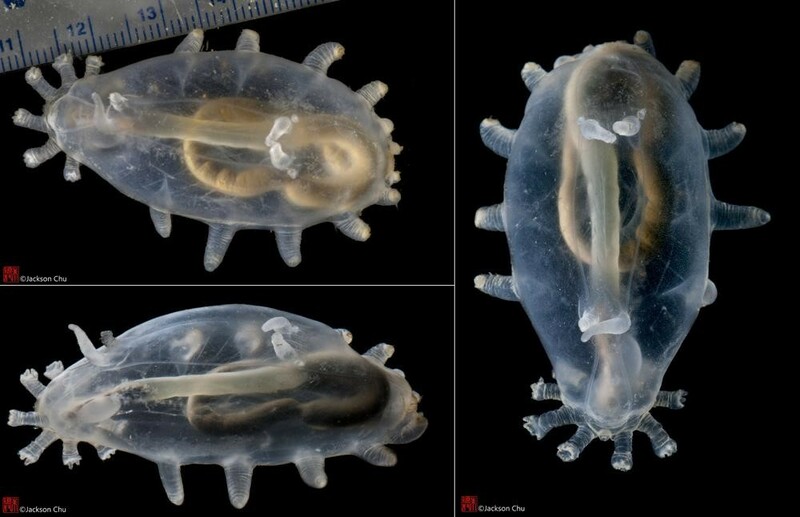 Juvenile sea pigs (Scotoplanes globosa) sampled from 1500 m in the northeast Pacific Ocean. Each sea pig was ~5 cm in length. © Jackson Chu. All rights reserved. Jonny Harris showcased Bamfield, B.C. in an episode of Still Standing, airing tonight at 9:30 PM PST. Image linked from the website of Still Standing. In 30 minutes, the town of Bamfield will be featured on CBC’s comedy show Still Standing. Jonny Harris visited Bamfield and met its wonderful residents, plus got a tour of the marine station. You can watch the show online here. Dr. Louis Druehl is one of many Bamfielders featured in Still Standing. Image from the Still Standing Facebook page. We are used to seeing crabs scuttling across the seafloor or scrambling under rocks in the intertidal zone, but before they settle on the seabed they have larval stages that live in the water column as plankton. Zoeae (pronounced zoe-EE-uh) and megalopae (MEG-uh-lope-ee) drift through the water, eating food and eventually metamorphosing into bottom-dwelling crabs. For her class project in Crustacean Biology (a summer course taught in 2012), Anna Smith worked with instructor Greg Jensen to study how swimming is accomplished by the zoeae of a porcelain crab, Petrolisthes cinctipes. Most crab larvae swim vertically in the water column and are fairly poor swimmers. These zoeae are swept along with the currents and are often taken out to sea with no hope of returning to the shore to settle. Check out the video below to see how zoeae of most crab species move in the water. Most crab zoeae have sharply pointed spines projecting from their carapace, as pictured below. Previous studies have found these spines to be connected with predator avoidance by making the larvae harder to swallow. The zoeae of porcelain crabs, however, have unusually long spines sticking out the front and back of the carapace. They are also much stronger swimmers than zoeae of many crab species, enabling them to stay close to shore and avoid being swept away from settling grounds. These zoeae swim horizontally through the water column and exhibit much more directional control than most crab zoeae. Anna studied whether the elongated spines of porcelain crabs were connected to their unique swimming by studying their swimming ability with both spines intact, then removed the front, back, or all spines to see how their swimming changed. Zoea of a porcelain crab. Image credit: Greg Jensen 2015. This image is from his new book, Crabs and Shrimps of the Pacific Northwest. The spines were in fact very important to the swimming ability of the zoeae. Zoeae who had their front (anterior) spine removed could not maintain constant depth in the water. Zoeae who had their posterior spines removed could not swim backwards or change directions easily and with both front and back spines removed the zoeae could not swim at all. This led Anna and Greg to conclude that the spines contribute to the superior swimming ability of porcelain crab zoeae. Why is this important? This suggests that the carapace spines are not only used as physical protection from predators, as previously suggested, but also contribute to their survival in other ways. Anna and Greg also hypothesize that the ability to better control direction and water column depth helps the zoeae navigate currents and stay close to shore and may explain their limited dispersal offshore. Smith, AE, and GC Jensen (2015). The role of carapace spines in the swimming behavior of porcelain crab zoeae (Crustacea: Decapoda: Porcellanidae). Journal of Experimental Marine Biology and Ecology, 471:175-179. If you want to learn more about the crabs and shrimps along our coast, check out Greg Jensen’s new crustacean guide Crabs and Shrimps of the Pacific Northwest. 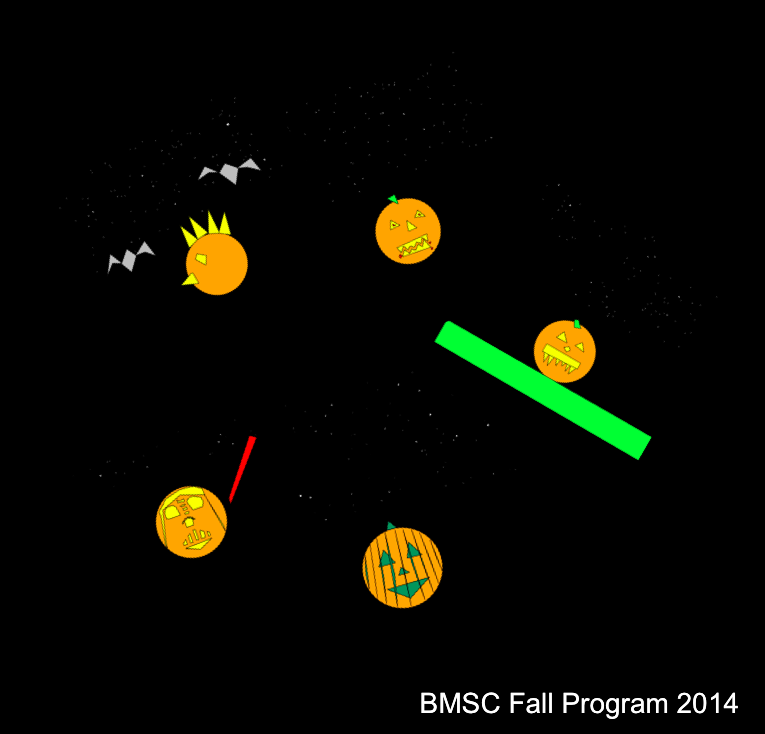 To learn more about this course and others offered at BMSC, check out the University Programs website. I had a thin section made of one of my shells, and it came back with a serendipitous hitchhiker. A foraminiferan, you know, those single celled protists that make a gorgeous test (shell) usually out of calcium carbonate? Well it was at just the right place to be beautifully sectioned itself. The section is 30um thick of a 5cm shell, and the foram itself is only 0.5mm wide. Thin sections are typically used in geology to identify different crystals, and thus the rocks that they are made up of. I recommend a quick Google image search, some are really quite pretty. Here I was using it to see how many layers and in what orientation the crystals are layed down in my snails. A chunk of rock (or shell) is ground down as smoothly as possible to 30um (0.03mm) so that it is transparent. Once under the microscope, a polarizing filter is used to see crystal features better. A cross polarizing filter is used to see interference colours, allowing greater characterization of the mineral. That is why the second image looks a little like something from the 60s. Although the CaCO3 is relatively clear, the glass of the slide refracts the light quite a bit, making a psychodelic pick rainbow. This is a very simplistic view of thin sectioning, please correct me if I’ve misunderstood something. PS I learned a new word making this post. Arenaceous. It means sandy, or likes sand (for plants), and specifies a geologic grain size ranging from 2 to 0.625mm. In this context it means those foraminifera that don’t grow their own shell, but rather glue bits (read:sediments particles) together to make a shell. 2. Corliss, B. H. 1985. 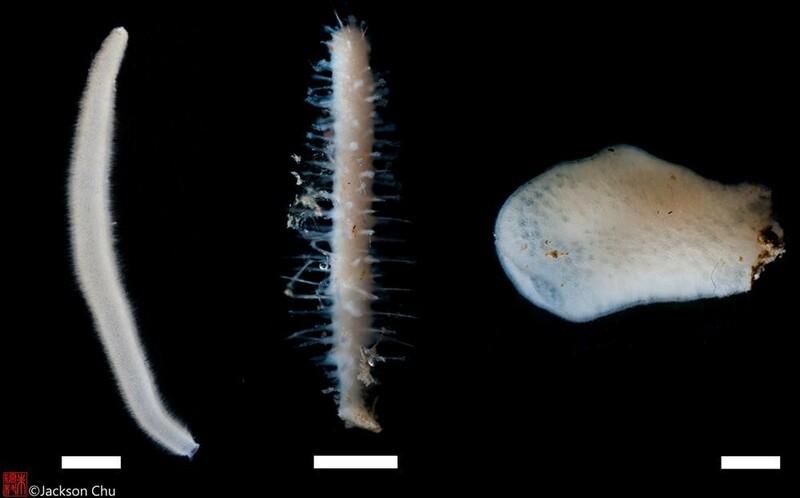 Microhabitats of benthic foraminifera within deep-sea sediments. Nature 314:435-438. Figure 1. Jack O’ Lanterns carved with the statistics application R, by students in the Bamfield Marine Sciences Centre Fall Program. Maybe you already know that the computer programming language R can be used for statistics, and data visualization. You can also use it to draw pictures. The easiest way to do this is by using the ‘locator’ and ‘polygon’ functions. You can make your own Jack O’ Lantern with R using the script provided in the previous post “Pumpkin Carving with R”. This summer’s Marine Protected Areas class stumbled upon a rare sight: while using the BMSC remotely operated vehicle they encountered a massive aggregation of box crabs. Also seen in the video is a flatfish and several crinoids. Perhaps we are a little focused on invertebrates here, or perhaps this gorgeous weather has gone to my head, but I have a ‘treat’ for you for an Image Fest Friday. Fish bones dried on the docks. Not that interesting. Can anyone ID the parts? Yeah, sorry, its poop. but whose? That is clearly no bird poop. From the diameter I was thinking cat-sized. It was all over the docks, to the dismay of Janice who washed it all off. She also solved my mini mystery. Its river otter poop! It is regularly appearing on the docks, and I saw a couple playing there earlier in the year, so there may be some living nearby. This is an unofficial blog with contributions from graduate students, researchers, and students studying at Bamfield Marine Sciences Centre. The information in the blog is that of the individual writers and does not represent the opinions of the marine sciences centre.